A warm bowl of soup can hit the spot on a cold day. It can also be a healthy way to start off a meal because it tends to be filling, high in vegetables and low in carbohydrates. 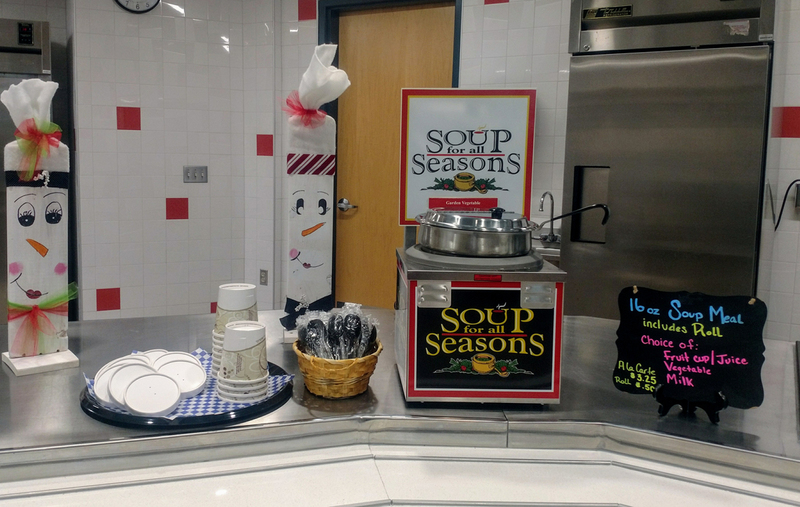 At Columbia High School, the Food Services staff have set up a new healthy soup station for the winter. An email goes out to staff on the morning the soup station is available and students are informed with signage and the morning announcements. 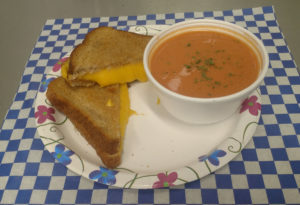 So far, the cafeteria has served Creamy Tomato, Vegetarian Vegetable, Bean with Bacon and the very popular Beans ‘N Greens soup.